Workshops Symposium "The next state - Rethinking State"
"Work or income? Freedom or dependency?" 1 – A country without poverty? Can existing social systems be reformed in a way that allows everyone to live in dignity? Workshop with Daniel Häni, entrepreneur and co-initiator of the popular initiative for an unconditional basic income in Switzerland, which was voted on in 2016 and triggered a worldwide media response. In this workshop, the cornerstone for a concrete introduction of the basic income as an attitude to life was worked out. They remembered the most important moments in their history and in their own lives and examined how they came about. In order to find out for themselves, they asked who should not receive an unconditional basic income. And last but not least, they looked into the question of what is missing when everything is there. Who will finance the basic income and why? And who will have to pay the price? If the state guarantees all its citizens full employment then companies will have to change their strategies, because unemployment would no longer constitute an effective threat. Can guaranteed jobs save democracy? A financial system without banks is desirable and possible. At the same time, a world without banks provides an opportunity to put the basic income on a sound financial footing. A wild fantasy? This workshop was devoted to developing realistic models for this scenario. People employed via platforms are the “Ich-AGs" (Me plc) of the future. People like Uber drivers or digital warehouse employees are driving forward the restructuring of the labour market at the same time as they are victims of it. For them it is important to restructure representation and power. What might a digital trade union look like? Is there a “one size fits all” model? 7 – Special workshop: Yes we can! How might you “sell” concepts of radical transformation to a post-industrial society? The participants in this workshop will initially split up into small groups for the various introductions to the workshop. Later each group will design a campaign for implementing their own employment and income model. 8 - The United States of Europe? Promise or threat? The participants developed strategies to remedy the democratic deficit of the EU. What mechanisms are needed, what constitution do we want to give Europe? Google promises Portugal its European headquarters in return for a right of veto on the European Council. Will Google be our next government? Can we stop this happening and do we want to? 10 – Venturing more democracy? The Denkzentrum Demokratie no longer wants to leave the state to itself and the corporations. 11 – Whom does the state protect? Workshop with the European Centre for Constitutional and Human Rights (ECCHR). NGOs have been trying for decades to restructure the relationship between the state, citizens and transnational corporations. Which mechanisms, which laws and institutions are necessary to protect citizens worldwide against attacks? The assumption that social media would lead to more democracy has so far not proven to be true. There is so far no sign of “Democracy 4.0”. Instead, platform technologies are gaining an increasing influence over citizens, who are mutating into users. Who will programme the algorithms of the future and thus determine the constitutions and ethics of platforms? What if we were to appropriate these platforms, turn Uber into a cooperative and found a global parliament of cities? WELCHE ZUKUNFT?! 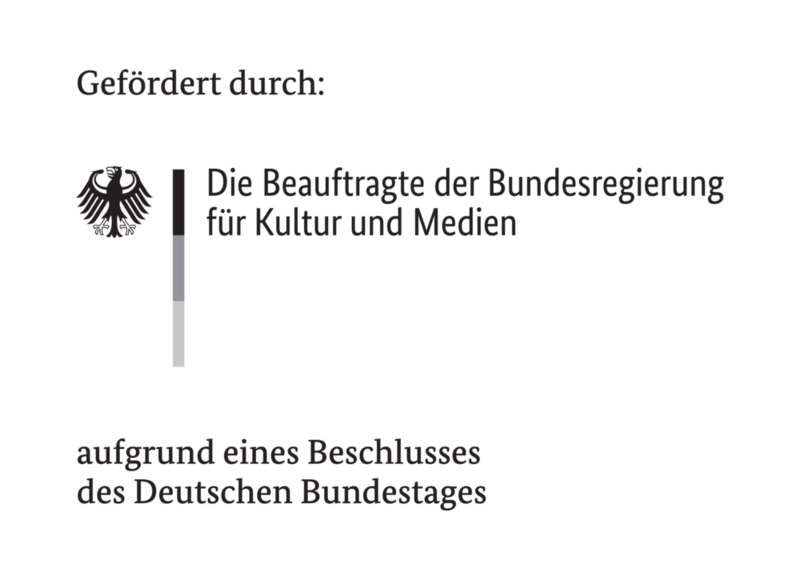 ist eine Koproduktion des Deutschen Theaters Berlin mit der Stiftung Humboldt Forum im Berliner Schloss, gefördert von der Beauftragten der Bundesregierung für Kultur und Medien aufgrund eines Beschlusses des Deutschen Bundestages.